Lake Merritt is a picturesque lake situated near the centre of Oakland California. The Lake Merritt Boathouse and Oakland Cathedral are located by the lake. Visitors from San Francisco can catch the light rail commuter train from San Francisco and disembark at the Lake Merritt BART station. 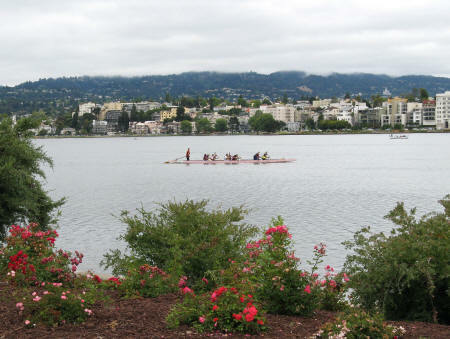 They can then enjoy a leisurely walk along the lake, prior to visiting the main tourist attraction in Oakland's city centre.